Accra (05/04/2019): Jumia Ghana, the leader in e-commerce in Ghana, has kick-started the biggest mobile phones and accessories sales in Ghana. The week-long event dubbed the “Jumia Mobile Week” is an annual event on the calendar of the e-commerce giant and this year’s event is set to commence on the 8th of April 2019 and last up to the 14th of April 2019. This year’s Mobile Week has smartphone makers Huawei, Xiaomi, Samsung and Infinix as mobile partners as well as telecommunication giant, MTN, as the telecoms partner. During the event, prices of mobile phones and accessories are expected to be slashed down to enable customers get the best deals and make great savings when buying their mobile handsets. 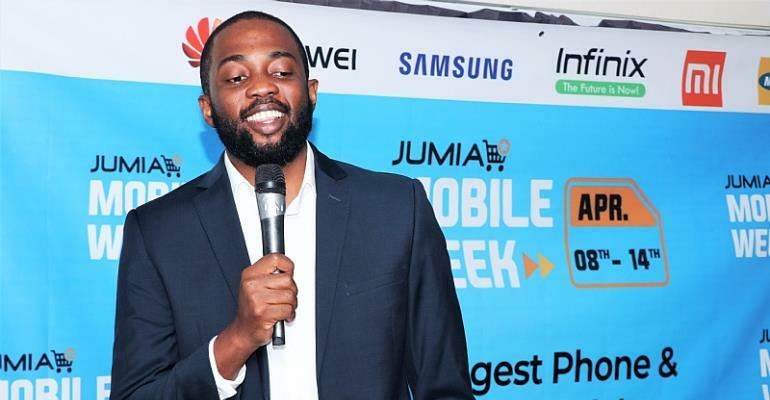 Stephen Sawyerr, the head of Marketing at Jumia Ghana, believes the Jumia Mobile Week presents an excellent opportunity for Ghanaians who intend owning new phones or changing their handsets to grab the opportunity to do so. According to him “The Jumia Mobile Week is the only event or platform in Ghana where one can get good quality original phones and accessories sold at highly-reduced prices.” “With the onset of the Mobile Week, all our partner brands will significantly cut the prices of their handsets and accessories to enable our customers and patrons of our platform get the chance to purchase the handset of their choice at reduced prices” he adds. “And our promise of delivering superior services to our customers is reinforced by our offering of providing genuine products, cash-on-delivery for purchases and a seven-day free returns” he emphasizes. Commenting on the significance of the Mobile Week in expanding mobile phone usage and accessibility in Ghana, Ore Odusanya, the Country Manager of Jumia Ghana says “Communication has become a critical part of our society to the extent that virtually everyone in the society needs to have a mobile phone as a matter of necessity.” “Without the mobile phone, one is trapped in a communication vacuum and is unable to connect with loved ones and friends” Ore reiterates. “The Jumia Mobile week is thus an opportunity for everyone to have the chance to purchase a phone with as little budget as possible” he concludes. Thousands of mobile phones and accessories are expected to be sold as prices of most phones are expected to be reduced by as high as 80 percent. Our mission is to improve the quality of everyday life in Africa by leveraging technology to deliver innovative, convenient and affordable online services to consumers, while helping businesses grow as they use our platform to reach and serve consumers. Jumia is the leading pan-African e-commerce platform active in six regions (14 countries). Our platform consists of our marketplace, which connects sellers with consumers, our logistics service, which enables the shipment and delivery of packages from sellers to consumers, and our payment service, which facilitates transactions among participants active on our platform in selected markets. Follow us on Linkedin, Jumia Group and twitter @Jumia_Group.